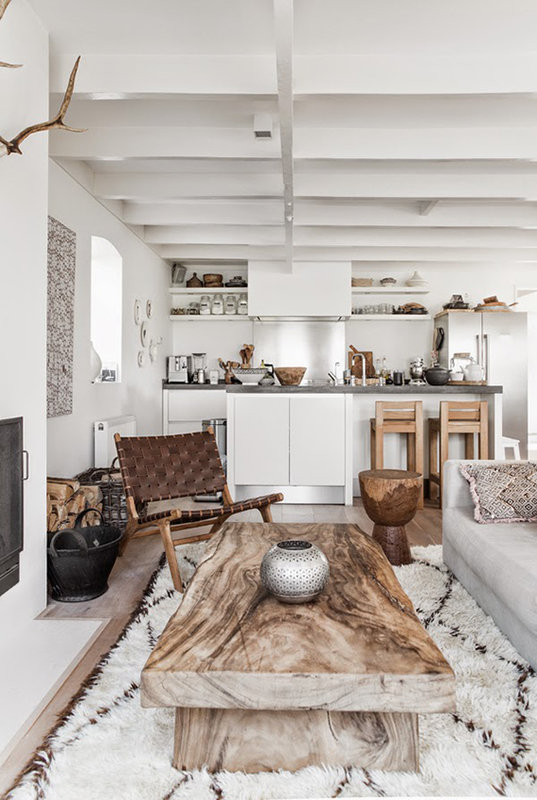 A modern ethnic living room with unrefined woods and fluffy textiles, like this slab coffee table that matches beautifully the Beni Ourain rug. 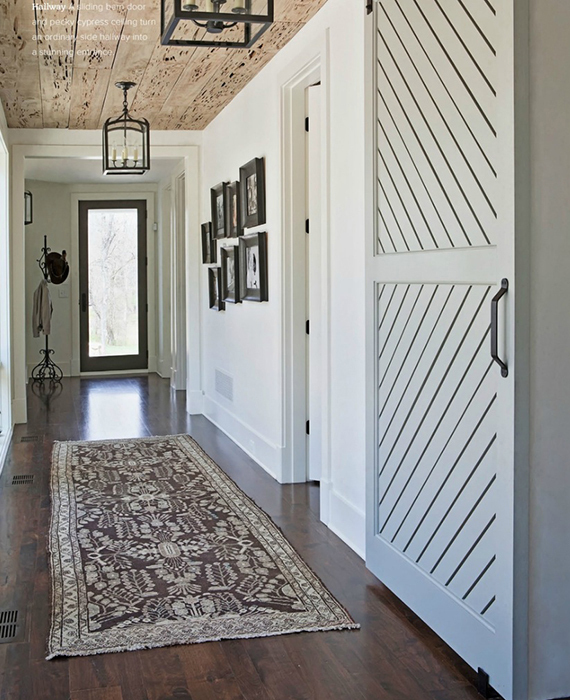 The rough wooden ceiling and the barn doors get an uplift with the vintage kilim and the gorgeous chandeliers in this hallway. 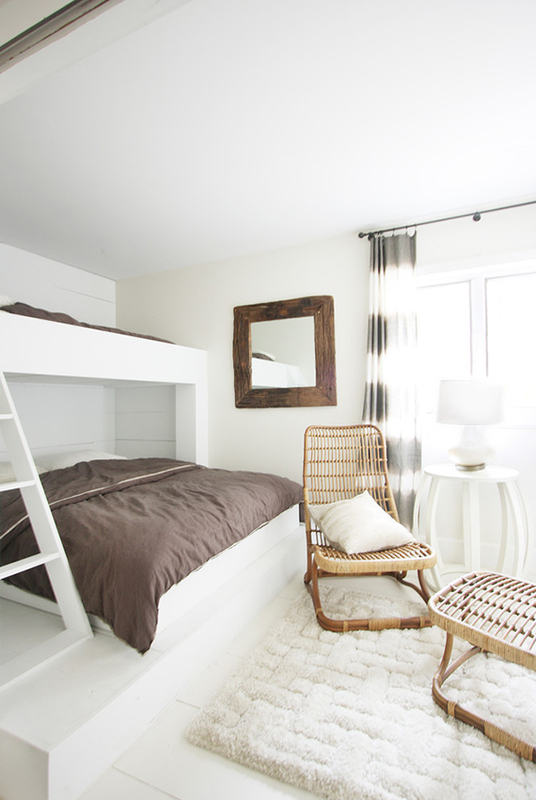 Built in bunk beds can feel so cushy and protected. 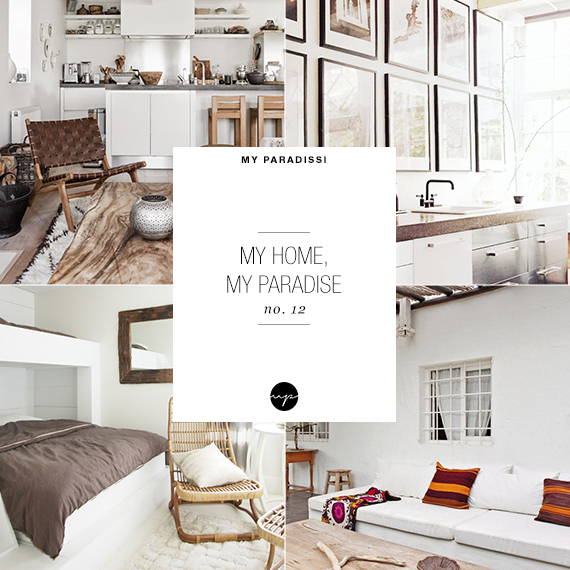 Love the white-neutral color palette in the room as well. 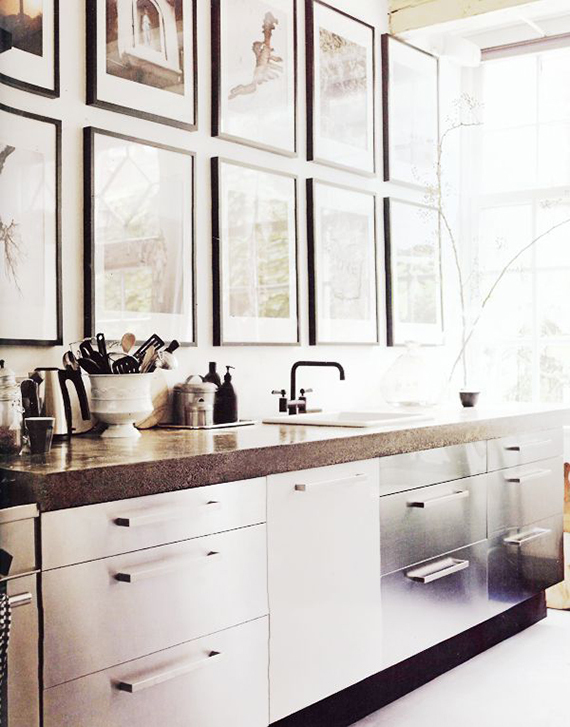 Impressive art wall in the least expected of spaces; above the kitchen countertop. 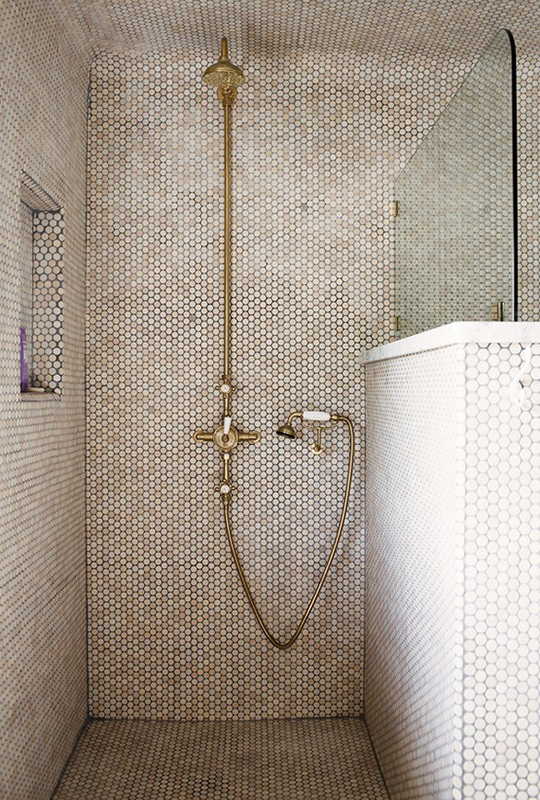 A bathroom with these stunning mini hexagonal tiles and the brass fixtures. 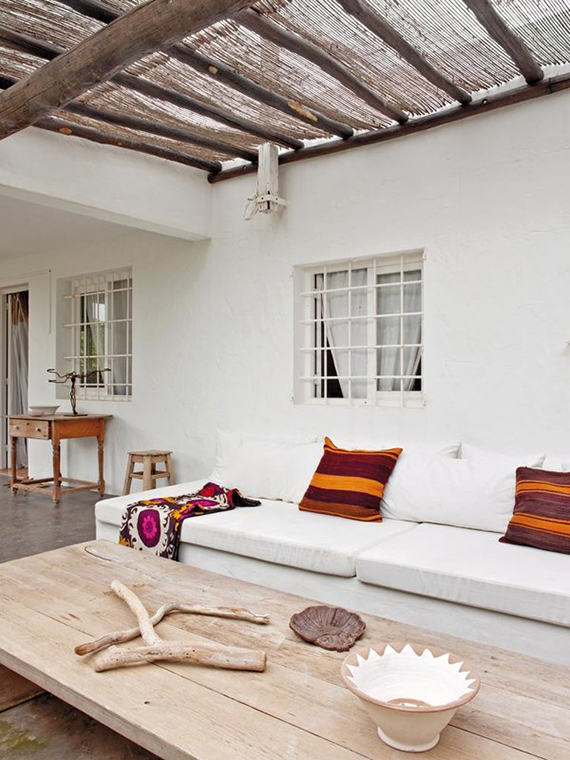 A spacious terrace with reclaimed furniture and a long cozy built in sofa to lounge on.